When you gotta go (geocaching), you gotta go! 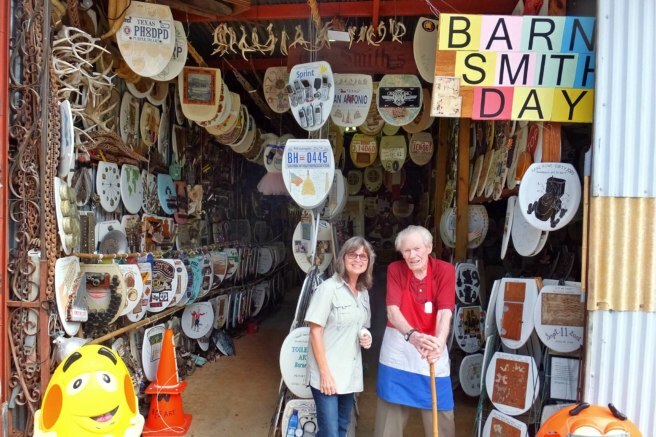 Located in the detached garage of 96-year old retired plumber Barney Smith, the Toilet Seat Art Museum is open to visitors and geocachers alike. 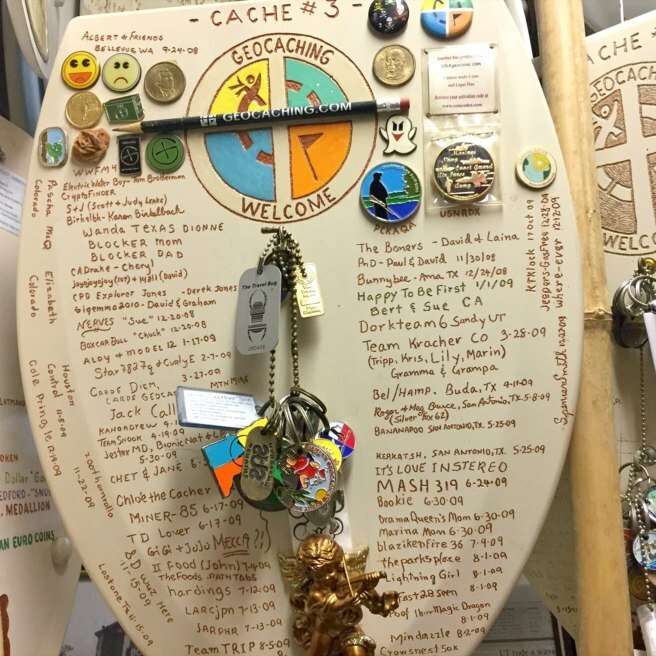 This bizarre museum boasts over 1,300 decorated toilets seats and a beloved Virtual Cache with 564 Favorite points. Known as the King of the Commode, Barney is known to happily give too many hints to help geocachers log this Virtual. Once you find and sign the logbook, you’ll see the care that he gives each visitor, carefully cataloging each signature as if the moment is just as important as the museum itself. 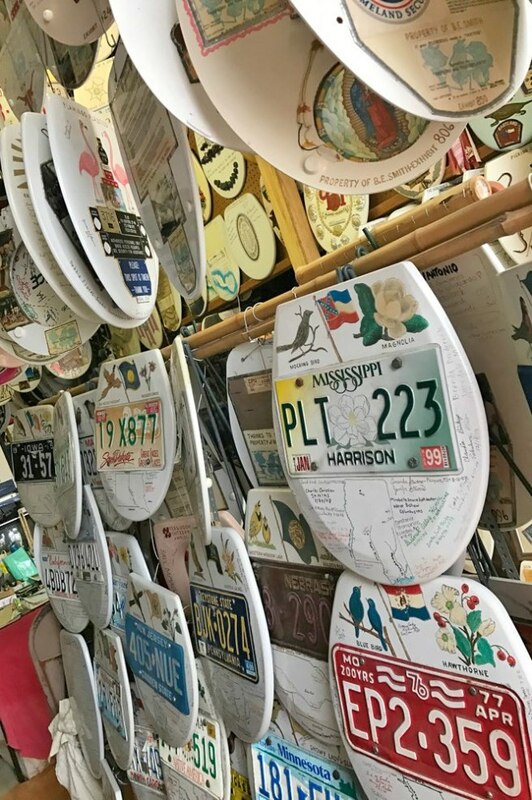 The Toilet Seat Art Museum has been featured on Inside Edition, CBS News, Good Morning America, and countless local newscasts. In fact, even Clorox cleaning products have highlighted this wacky roadside attraction. 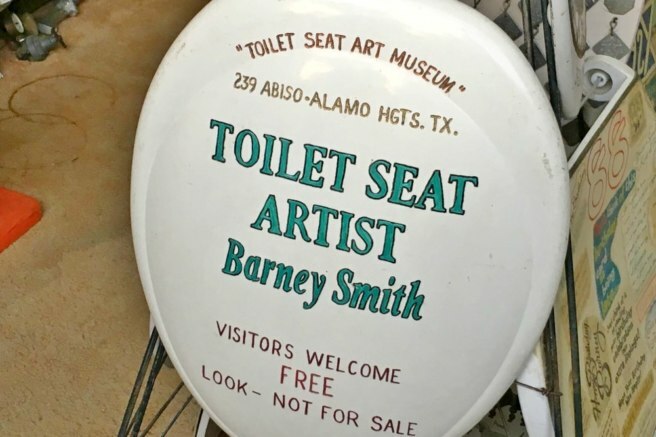 Turns out that Barney is retiring and all 1,318 toilet seats in his collection are up for sale. If you plan a visit, make sure to call ahead so he knows to expect you. 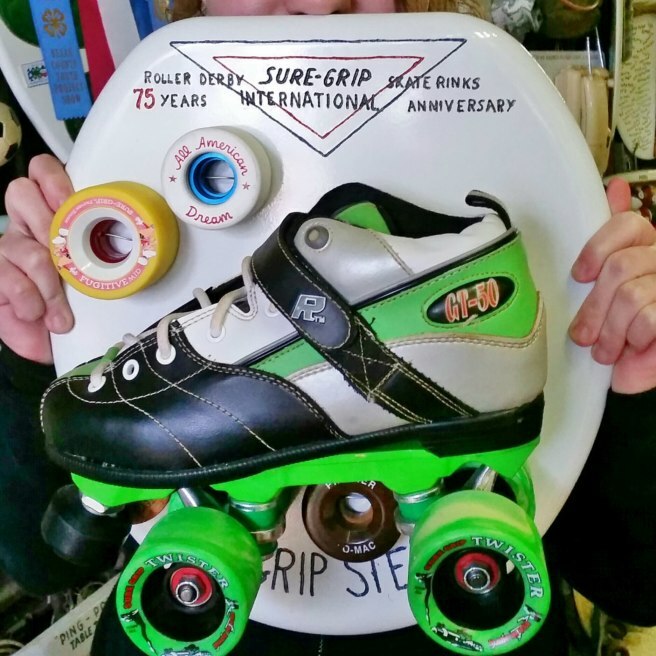 His wonderful museum attracts around 2,600 visitors a year and his guestbook has entries from 81 countries. Remember: Just like toilet paper, bathroom puns are tearable.